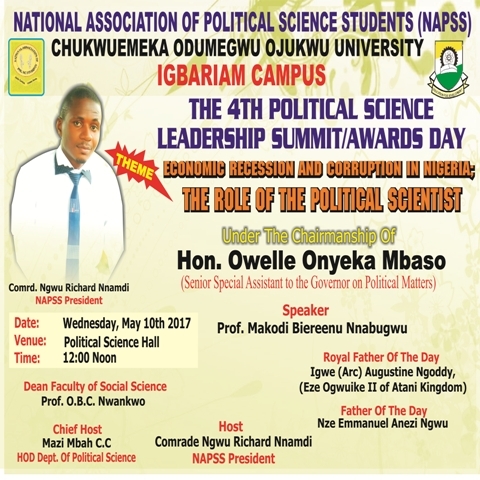 Cordially invite you all to their 4th political science Leadership Summit/Award Day. 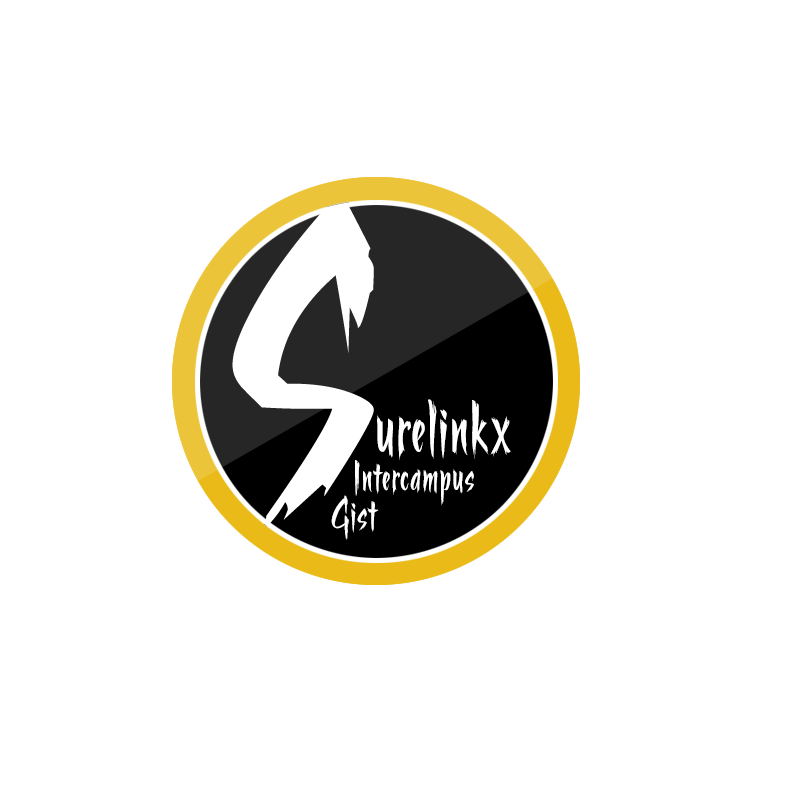 Theme: Economic Rescission and corruption in Nigeria. The role of political scientists. Under the Chairmanship of Hon. Owelle Onyeka Mbaso ( Senior Special Assistant to the Governor on political Matters). Date:- Wednesday 10th May 2017.